This adorable apple craft uses a paper plate to make a project suitable for a nutrition, back to school, Johnny Appleseed, or letter A theme or just for fun. 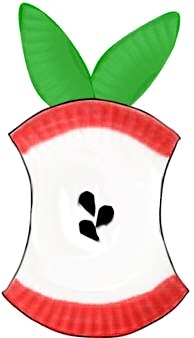 Optional: You can substitute real apple seeds for the painted ones. 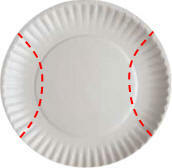 Cut leaf shapes off of opposite sides of the plate. Paint the leaf shapes green and set aside to dry. Paint the edges (top and bottom) of the plate red. Paint or draw seed shapes onto the center of the plate. Glue real apple seeds into the center of the plate. Let all the pieces dry. 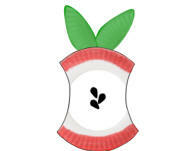 Glue the leaf shapes to the top of the plate to make your apple!